Kuala Lumpur is one of those cities people underestimate until they visit and then fall in love. By far Kuala Lumpur Itinerary For 2 Days is not enough but it’s a start for this amazing city visited by millions of tourists each year. An estimated 11 million tourists visit Kuala Lumpur each year and there are a million good reasons for that. Kuala Lumpur is known for its tourist-friendly population, excellent food and accommodation from budget to super lux. Interestingly, the KL offers endless attractions, plenty of things to do in Kuala Lumpur whether you have 2 days in Kuala Lumpur, 7 days, a month, basically no matter how tight on the visiting schedule is. If you happen to be visiting to Kuala Lumpur for just a couple of days, then you are in the right place reading this Kuala Lumpur Itinerary as I take you through the highlights. 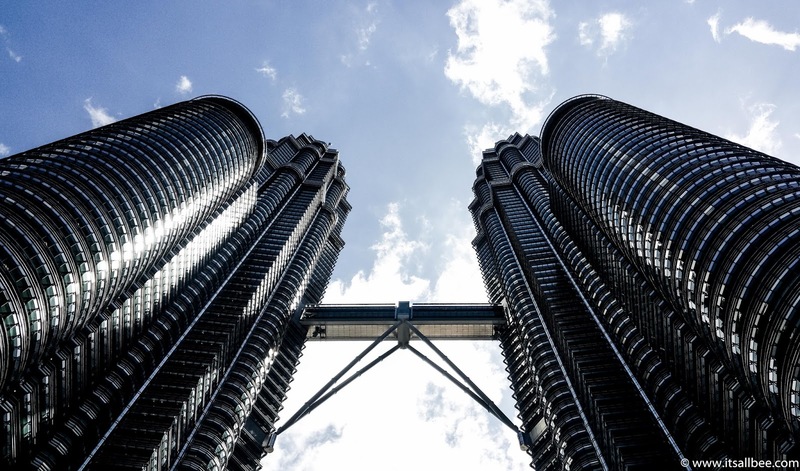 In this post I have narrowed down the list of “Must See” places in Kuala Lumpur and “Must Do” activities especially for those of you that have a quick visit perhaps because heading off to Langkawi, Pengan or other stunning islands in Malaysia. Here is your two days itinerary for Kuala Lumpur. Whenever I am planning a trip I think it is important have an idea of what the country of city is like and in this case what Kuala Lumpur and Malaysia as a whole are like. This also helps when thinking about what to pack for Kuala Lumpur as well. Have an understanding of the climatic conditions in Kuala Lumpur especially for the month and season you visit, especially if you are travelling from western hemisphere and not used to somewhat hot and humid climatic conditions. The weather generally remains hot and humid with small chances of rain during the evening. It would be wise to pack in summer clothing with optimal rain protection. It is smart to plan your outdoor activities during the afternoon hours (though it is the warmest part of the day in Kuala Lumpur). Malay, Chinese and Indian are widely spoken and understood in Kuala Lumpur. 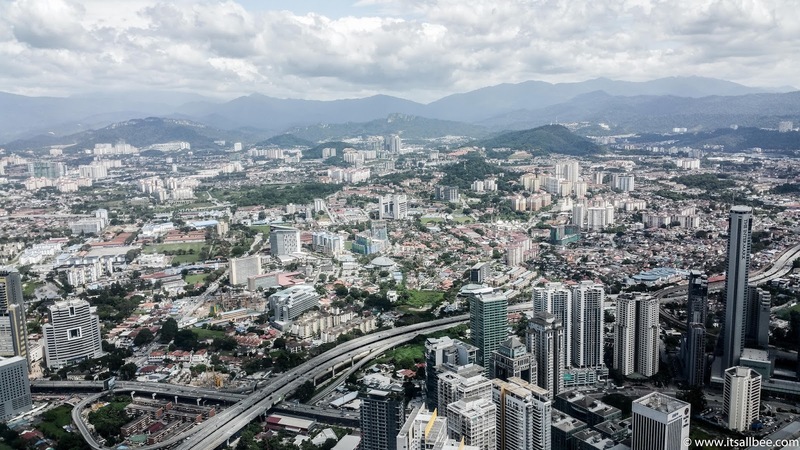 Though English (or your native language) may not be widely spoken in Kuala Lumpur, however, (being a popular tourist destination), locals of Kuala Lumpur have a decent understanding of the English language. You are not likely to have any major problems in communicating with locals. Do check out local food from hawkers and small street food stalls. There are plenty of amazing restaurants to check out in Kuala Lumpuro eat to check out steet. If you are going to check out street food just make sure food it piping hot. Though modern, Kuala Lumpur is a modest city when it comes to public show of affection like excessive physical contact (hugging and kissing etc.). It is advisable to abstain from too passionate show of affection in public. Avoid using a taxi without a metering device. You can be surprised by the driver’s asking at the end of the ride. It is customary for local Muslims to shake hands with only males. This again is not always a greeting of choice in Kuala Lumpur. It is smart to offer a handshake only when a local takes initiative in this regard. Local etiquette requires you to enter homes and holy places bare feet. Don’t forget to remove your shoes before you enter a home or Holy place. Never keep yourself on a tight timeline when travelling to catch a flight or a meeting. You may face traffic congestions and jams during peak hours. Never leave your hotel without an ample supply of tissue papers. You will not find not public washrooms with a desirable supply of this amenity. Now! You have just 48 hours in Kuala Lumpur. Fortunately, most “Must See” places in Kuala Lumpur are within the walking distance to each other. It would not be an overstatement that KL is perhaps one the best destinations when you have just two days to spare in your busy schedule. From the trendiest shopping malls at Bukit Bintang to the traditional local markets at Pesar Sani, you are well placed to visit everything worth visiting in KL on a two days trip. 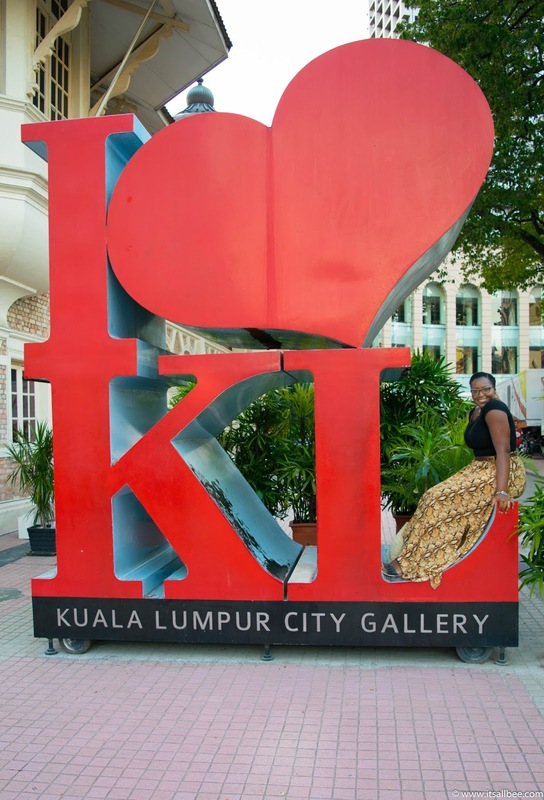 Here is your “Must See” and “Must Do” list for a two days trip to Kuala Lumpur. Petronas Towers tour: No trip to Kuala Lumpur is complete without visiting Petronas tower. 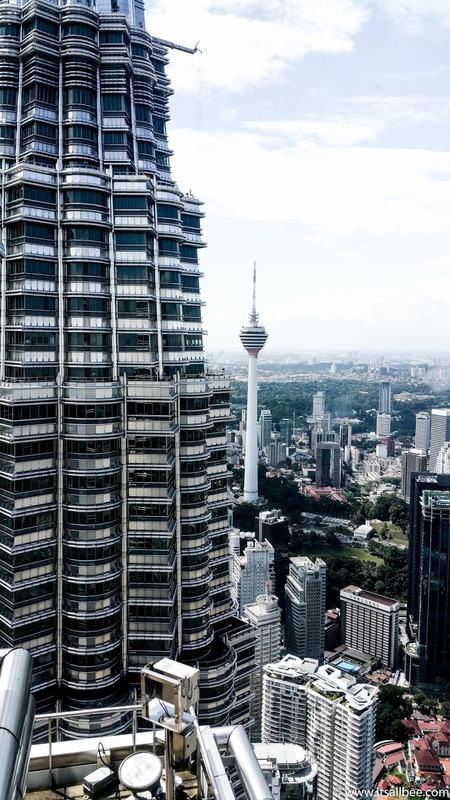 Located in the heart of Kuala Lumpur and towering over the cityscape, the magnificent building offers all around view of the city from the observation deck. It is advisable to book a visit in advance with a designated timeslot to better manage your tight timeline. Many tour agencies offer tickets for as cheap as £24/US $30 for a guided tour. You can book tickets from Expedia or Get Your Guide. 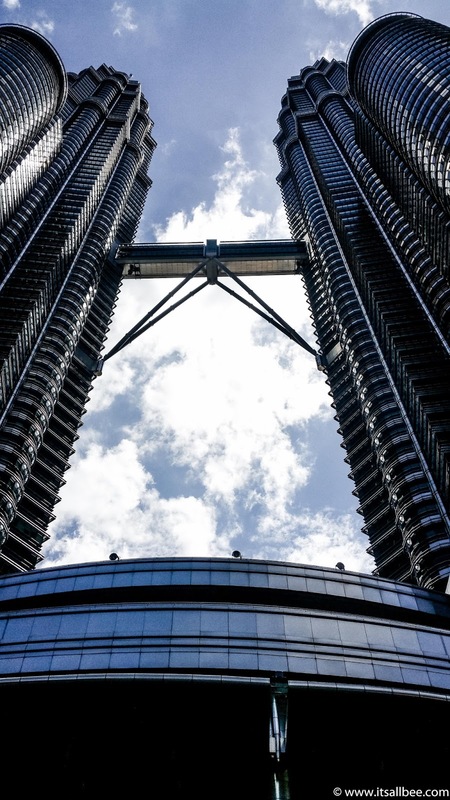 I shared a post from our visit to Petronas Towers. Most of these will sell tickets for afternoon slots. If you are unable to find morning slots go to the ticket desk early in the morning as they sell morning slots if you arrive early enough. We got there for 9am and still managed to get tickets for 10am. Luckily our hotel was next door but you can also head to the mall that is next to the towers. Slots for visiting Petronas Towers are one hour each so you cannot hang out for as long as you want. The view from the sky bridge is truly breathtaking so its well work visiting. KLCC Mall. It is unmissable the largest shopping and commercial district in KL. Stretching over 100 acres, the bust shopping district houses Petronas Towers and some of the best five-star hotels in Kuala Lumpur. The grand landscape makes it one of the top contenders on the must-see places in KL. This is also where you have Aquaria KLCC, one of the largest aquariums in Southeast Asia. Its located on the concourse level of the Kuala Lumpur Convention Centre. Home to over 150 species of marine life, its star attractions include scary tiger sharks, lethal sea snakes, blue rays, bright coral fish, seahorses and more. i The shops, food courts, tower shots are likely to keep you hear at least 2 hours. KL City Gallery and Museum. There no better venue to visit than KL City Gallery and Museum to have a clear understanding of city history. Open from 9 am to 6:30 pm daily, the gallery/museum holds the treasure trove of a collection relating to the history of KL. Location in the heart of Independence Square, the museum is famed for the Spectacular City Model Show, a massive model measuring an astounding 40ft x 50ft. The art gallery is home to a rich collection of miniatures that covers every aspect of KL social and cultural heritage. Outside of the gallery you also have Instagrammable I Love KL statue. A short walk or rather adjacent, Merdeka Square is home to the city’s heritage sites; the Union Jack was lowered from this spot when Malaysia got its independence, hence the name which means independence. Its beautifully landscaped with gardens and terraces and fountains as well as being a cool spot for photography. This is also where you have Sultan Abul Samad Building with its remarkable edifice boasts Mahometan/Neo Saracenic style is a great spot so some cool shots. Overall you will only need about 1 hour here or 1 and a half hour. Petaling Street Market. From KL City Gallery to Petaling Street Market is just a 5 minute walk. It would be injustice with a two-day trip to Kuala Lumpur if you didn’t experience the authentic Malaysian culture through the famous street markets of Kuala Lumpur. Famous for their rich cultural heritage, these market places are renowned for the range or available items and affordable prices. You can buy anything from these markets including (but not limited to) local handicrafts, jewelry, apparel, and local fresh produce. The most famous in the list of street markets is Petaling street. It is a famous shopping venue located in China Town KL and home to thousands of stalls stocked with every item under the blue sky. The market street is covered with a green awning to shield the visitors from rain and humid weather. 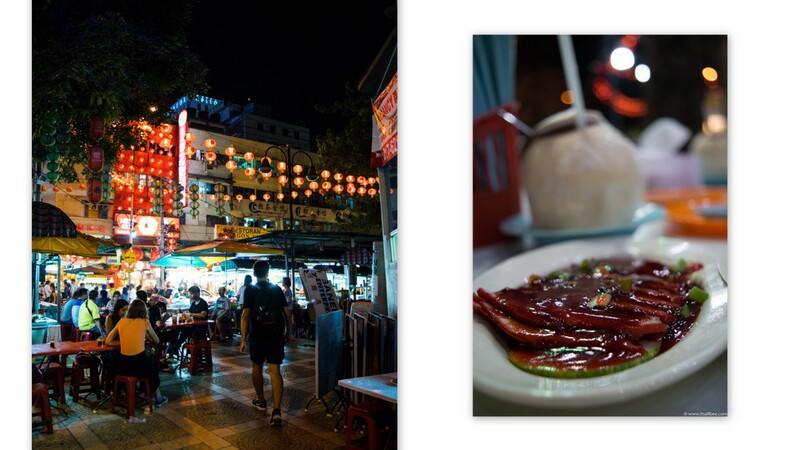 You can also enjoy an amazing array of local cuisine offered by a huge number of restaurants situated on the street. The prices are much cheaper as compared to any upscale shopping mall. You can visit the marketplace between 9n am to 12 pm and then 6 pm to 1 am. Some of the other worth visiting market streets include Kasturi Walk, Chow Kit Market, Kampung Baru Market, and Taman Connaught. Free evening to return to the hotel and chill or grab dinner and do your own thing. Hellipad Lounge Bar. Its been a day of exploring view, museums and markets but now its time for something unique that is something you need to experience before leaving Kuala Lumpur. You have to check the Helipad Bar. My husband and I loved this bar! The prices are great the views of the city just stunning! I have a post with plenty of info on how to get there, photos of the view from the Heli lounge bar and more. Its a grea way to end the day. A glass of wine, great conversation and cool views. National Mosque of Malaysia. Located in the city center, just close to the railways station, National mosque is a must visit place in KL. A mix of modern and traditional Islamic architecture, the mosque offers a stunning view with its magical garden landscaping and ornate display of fountains. Robes are kindly lent to visitors who are inappropriately dressed. For non-muslims its open from 9am to 12pm, from 3-4pm and again 5.30-630pm. On Fridays the mosque is only open to non muslims from 3-4pm and again 5.30-630pm. Menara Kuala Lumpur Observation Deck. 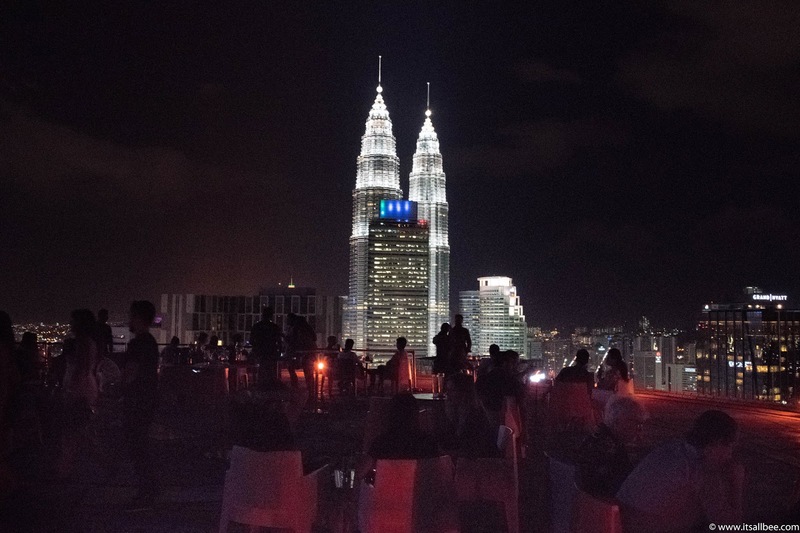 Hailed as one of the tallest freestanding structures in the world, Menara KL plays host to a revolving restaurant, Atmosphere 360. Also popularly known as Kuala Lumpur Tower, it is another high rise in Kuala Lumpur that merits the list of Must See in Kuala Lumpur. It is the 7th tallest in the list of communication towers in the world with a height of 421 meters. The roof ‘s revolving restaurant has fine dining facility and a magnificent view of the surrounding city landscape. If you happen to be in KL at the right time, you can also witness the annual race to the top of the tower. Head of to Menara and start with a little brunch or just take in the views from Menara KL observation deck. The tickets for the tower are only £8. Check out Bukit Bintang(more details belwo) for a quick exploring of the boutique and chill for a little bit before heading to see the Batu Caves which I have out for later in the afternoon but as its a 40 min drive from KL city center, you need to leave by at least 3pm. Also because the weather tends to be hot, its a better to visit after 3pm when the weather is starting to get cooler again. Batu Caves. Unarguably, one of the richest cultural sites in Malaysia, Batu Caves is a 4000 years old historical site composed of limestone hills housing caves temples and caves. The history of the site dates back to Tamil dynasty and it is considered one of the most sacred shrines outside India (dedicated to Tamil God Murugan). 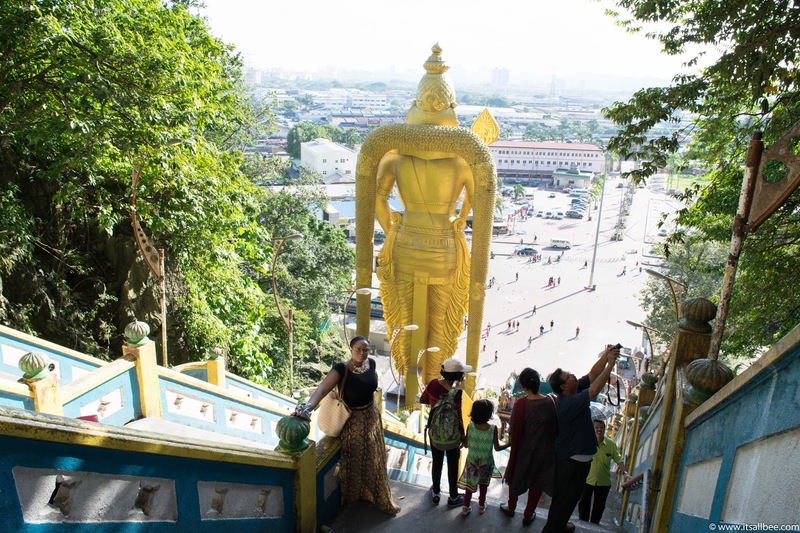 The shrine is the epicenter of the Thaipusam Hindu festival in Malaysia. The caves are located in Gombak district, just 15 kms distance from KL. You would need just 45 minutes for one side trip. Unmissably, it is one sure “Must See” attraction on a two days KL visit. 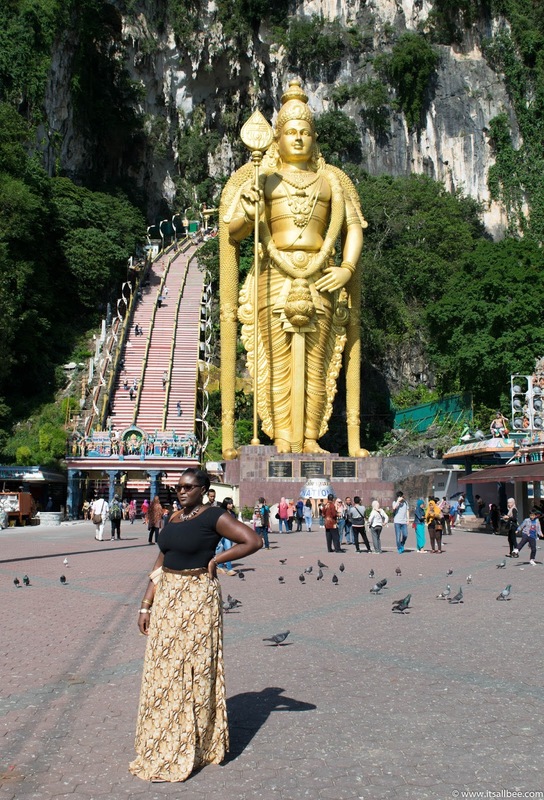 I have a post on visiting the Batu Caves and everything you need to know about how to get there and back from KL city centre. Bukit Bintang. Bukit Bintang is known for Jalan Bukit Bintang, a busy thoroughfare with upscale malls and luxe fashion boutiques. When it comes to trendy malls and upscale shopping, there is no better place to visit than Bukit Bintang in Kuala Lumpur. There is no other spot in KL that offers a higher density of five-star hotels, night clubs, 24 hours restaurants and trendy shopping malls. Bukit Bintang is centrally located and accessible by all public transit facilities in KL. Pavilion KL is the largest shopping mall in Bukit Bintang and house to all the major global clothing brands. Jalan Alor within this district is the centrally air-conditioned cuisine market that offers the complete range of local delicacies. Those seeking quality nightlife can visit Changkat Bukit Bintang area for round the clock fun. If you have more than 2 days in Kuala Lumpur there are a couple of places below that you can add to the itinerary of what to do in KL city. 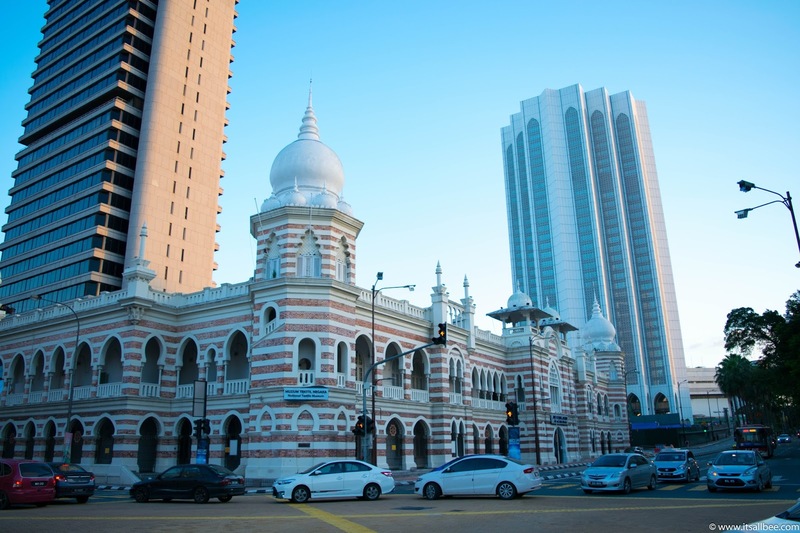 KL Railway Station – Located in the heart of the city and was the hub for the nation’s transporation system before KL Sentral Station was built. Perdana Botanical Gardens and KL Lake Gardens – The city’s premier park with over 200 acres and two lakes. KL Butterfly Park – There are more than 6000 butterflies from over 100 species. Open 9-6pm. Tickets RM20 and RM10 for children. Sze Ye Temple – The oldest Taoist temple in the city dating back to 1864. How to get Kuala Lumpur? The megacity is served by three major airports; KL International airport, KL international airport 2 and Subang international airport. All three airports are world class and carry excellent facilities to facilitate incoming and outgoing traffic. You won’t have any hassle upon arrival or departure. There are many modes of travelling from the airport to your hotel in Kuala Lumpur. There is an extensive rail transportation system in Kuala Lumpur. Some of the more pronounced include KL Monorail, KLIA (KL airport transfers, Kuala Lumpur MRT SBK Line, KL light rail transit, Airport transfers, KLIA transit airport train and KL Hop on Hop Off. You can also use Uber in Kuala Lumpur. If you are using taxis just make sure the drive turns on the meter. Malaysia has a tropical climate and the weather is warm all year round. Temperatures range from 21 degrees to 32 degrees and annual rainfall varies. Whether you are checking off a Kuala Lumpur Itinerary for 2 days or 5, as I said above the country tends to get really hot so pack some options as you may find that you have to change clothes at least twice a day. Currency: The Malaysian Ringgit is usually written as RM. Tipping In Malaysia: Tipping is not expected although appreciated. Hotels: Book through Booking.com. There are plenty of hotels, suites and apartments in Malaysia. 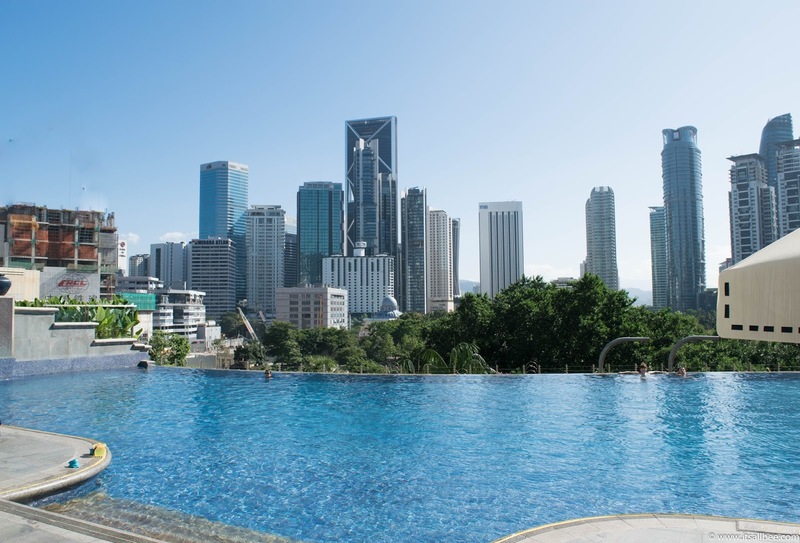 Covering a range of budgets, from hostels to luxury apartments and hotels with infinity pools in Kuala Lumpur. Getting Around: There are plenty of taxis in Malaysia. Although meters are always used its best to agree on a price beforehand, especially for trips to the airport or long distance trips like say, to the Batu Caves. Food and entertainment in Malaysia: Food is amazing in Malaysia and there is a choice of Malay, Indian, Indonesian, Japanese, Thai, Korean, Chinese and Western cuisine. As a Muslim country, many places will offer halal food prepared in religiously approved conditions. Activities: There you have a long trip on a short one there are plenty of tour; from hop-on, hop-off tours to multi-day tours. For tours in Kuala Lumpur and beyond check out Viator Tours. 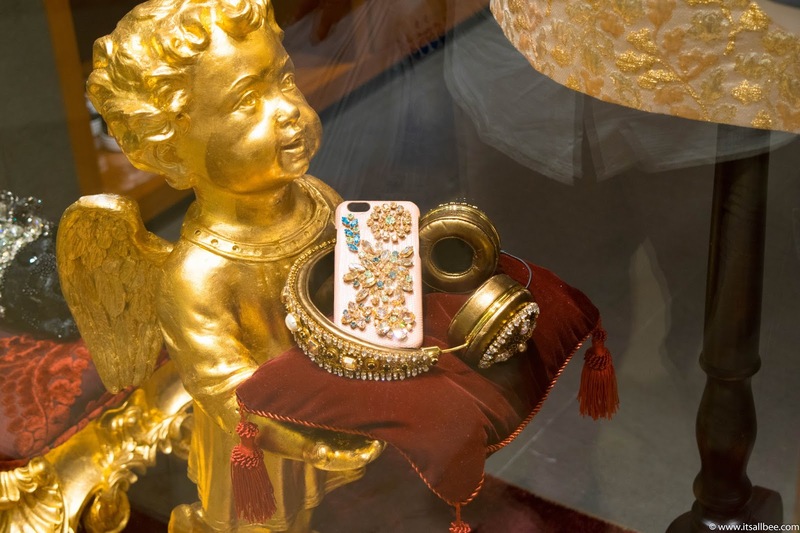 Shopping In Kuala Lumpur: Kuala Lumpur offers amazingly good value; from technology gadgets to fashionable products and clothing. There amazing shopping complexes, department stores, boutiques and markets. KL is perhaps one of the few cities in the world that offers the widest range of tourist possibilities in a two days trip. It’s perfect for enjoying city life and just enjoy your two days in KL. So, have you been to Malaysia before? Planning a trip?